In this episode, Jeff and Jim talk about how NJEA members can prepare for an upcoming job fair. 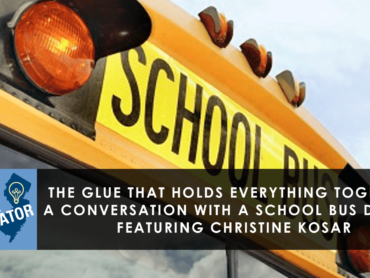 This is the time of year when students are preparing to leave college and begin the exciting process of meeting school district staff and learning about the networking process. What types of things should be considered when attending your first job fair? 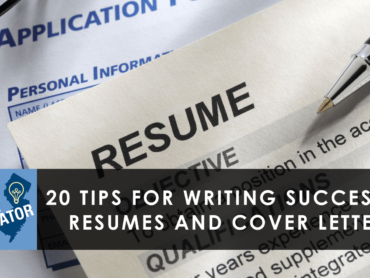 Dress, resume, and conversations should be in the front of everyone’s playbook, but there are several others things that are equally important. Here are four tips to help you prepare for your next job fair or interview. 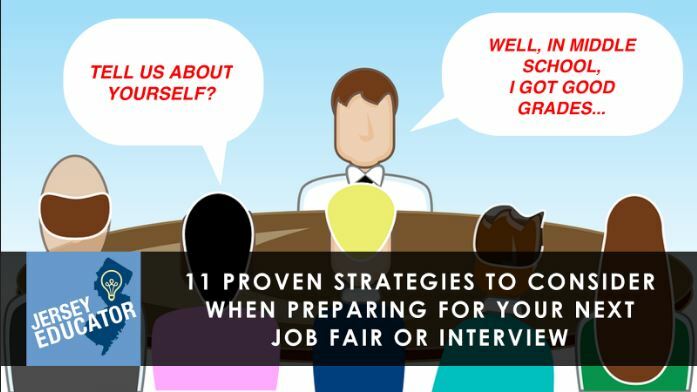 When attending a job fair or interview, it can not be overstated enough: prepare. Prepare ahead of time for the big event. Make sure you have everything you need the night before. Have your resumes prepped, proofed, and printed. Carry copies in a folder so that they don’t bend. Research who will be at the fair and what positions are available. Keep your business cards in your jacket pocket so that you can take them out at a moment’s notice. There are several ways of saying “business casual” and “dress to impress.” For many, you should dress for the job you want. Make sure your clothes are professional, clean, and neat. Wear comfortable, but well-maintained shoes. Remember that you may be carrying a backpack or other item with your papers in it, so don’t over pack. Carrying a heavy bag may exhaust you during the day. Your first 60 seconds with a potential employer are the most critical. You should have your game face on and be energetic, happy to be there, and confident. How are you enjoying the job fair today? How are things these days in ____ (fill in your current school district). You should have ready answers for all of these questions. These questions are to get you talking. Your answers should be designed to invite those across the table to answer questions, too. The quicker you can engage in conversation, the easier it will be for you to relax throughout the interview process. It is also best in your introduction to mention that you have expertise in something that the school is proud of or currently using with their staff. Know who the superintendents are and the names of the human resource staff as well as the principals for the schools participating in the job fair. How are the building grades broken down? Of course, during a job fair you may find yourself sitting in front of a school that you had not prepared for, and that is fine. This is why you have Google on your phone and can always duck into a corner to do a quick search before approaching the table with your resume in hand.